4 typical chess mistakes in defense you should never make! First, let me remind you that the special 35% discount (save about $40) on our new course “Defending Champion” expires on Wednesday, 4 Jan. Use coupon “defend35” when making your purchase (see how to use the coupon here). You can find more details about the course here. Let me also remind you that the special 30% discount on all RCA courses to celebrate the Christmas Holidays expires tomorrow (31st). Use coupon “holidays30” when purchasing the courses. You can find more details here. We are humans and we make mistakes, this is normal. There are some typical cases in which chess players make the same mistake(s) repeatedly. In this lesson about defense, you will recognize and understand those mistakes. It will help you avoid those mistakes in your future games and it will drive you in cloud nine! When we are playing a game, our opponent sits opposite to us and he/she wants to win as much as we want to. Don’t forget that we are not the only one playing the game, and what is more important we are not the only ones who are playing to win. Thus, we should pay attention to our opponent’s threats and we should ask ourselves: what does she/he have in mind? A blunder is like a slipping on a banana peel. Sometimes, even the TOP grandmasters can make such terrible mistakes. It is not something they intend to do; it is simply a mistake, an error. After the blunder, the position immediately collapses. In the above game, Nakamura played the move 13.Ne2 very quickly. Perhaps he confuses his opening preparation or he just would like to confuse his opponent. Please let me remind you that he is one of the best blitz players in the world. Unfortunately, Blitz is very different from classical chess. White has strategically lost the position because the pawn on c4 is a very weak one and Black’s plan is very simple. Black will double his rooks on the c-file and they will capture the weak pawn. Black won the game easily. The most dangerous strategy is to leave your King in the center of the board, because the center usually can be opened easily. Thus, my advice is to castle as soon as possible and keep those pawns snug (f2,g2 and h2) right in front of your king. Many chess players leave their King in the center for long time, and because of that they lose their games. I hope that you will not make this mistake and will secure your King. 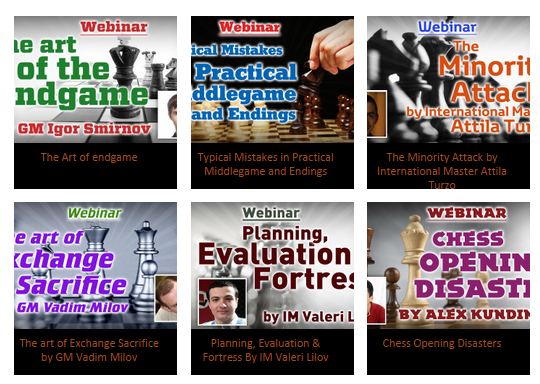 The day has finally come – today we’ve released our new chess course “Defending Champion”! If you want to strengthen your defensive skills and stop losing games under pressure, then this course is for you. As promised, we’re providing you with a massive 35% discount (save about USD $40) on this course. Simply use the coupon “defend35” when purchasing this course. If you don’t know how to use a discount code, please see here. This is a limited-period offer: it will be valid from today till Wednesday, 4 Jan. (inclusive). Defense is a very important chess skill. In at least 50% of chess games, we need to defend. In some games, we play with the Black pieces and White makes the first move; for that reason, White has the opportunity to start the attack/initiative. On some other occasions, one will make a mistake and be forced to defend. Thus, defense is as important as attack. Many players struggle to get out of hard positions and they crumble under pressure. If you study the course carefully, then you will be able to defend correctly against all level of players. This course is suitable for beginners and intermediate-level players, but it will be helpful for advanced players, too. Even if your ELO is 1900+, this course will help you improve your defensive skills and you’ll learn some new things. How to defend in the opening? How to evaluate a position? How to consolidate and save a lost position? The course also contains powerful practical tasks: it is necessary to put the received knowledge into practice. There are nine practical tasks (over 100 games) in this course, which will help you to understand and remember the ideas presented in the course better. The training program has a detailed explanation of WHAT and HOW exactly you should perform the practical tasks. P.S. We’re also celebrating this holiday season – if you would like to study other RCA courses, this is the perfect time: you can get a huge 30% discount on all our courses till 31st Dec. Simply use coupon “holidays30”. Find more detailshere. Celebrate the Holiday Season with RCA! 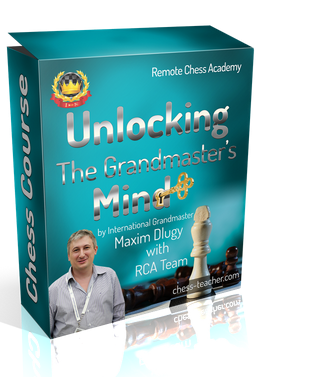 Remote Chess Academy (RCA) wishes everyone a Merry Christmas and Happy Holidays! Let the spirit of Christmas warm your home with love, joy and peace. This time of year is truly wonderful and a magical one, and Christmas is a holiday with a beautiful spirit and traditions. Are you ready to celebrate it with us? First, I’d like to inform you that we’re providing you with a huge 30% discount on all RCA courses to celebrate Christmas and the Holidays! This is a limited-period offer; it will be valid from today till Saturday, 31 Dec. (inclusive). Suggestion: you may like to check out some of my interesting photos in the ‘Christmas special article’ where I’ve shared my Holiday spirits with you. Simply use the coupon “holidays30” when making your purchase. If you don’t know how to use a discount code, please see here. Second, let me remind you that our new course “Defending Champion” will be released on Wednesday, 28 December. Defense is an essential part of chess, just like attack. Solid defensive skills are vital to ensure your stable good results. If you don’t know WHEN and HOW to defend, then this course is what you need. 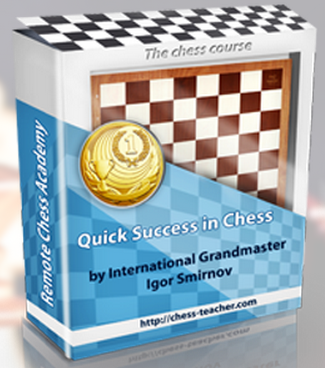 After studying this course, you will learn how to evaluate positions, simplifications of positions, psychology of defense, active defense, counter-attack and much more. Additionally, there is another reason why you should study this course – you’ll get a huge 35% discount on the course during the release days. Moreover, if you pre-register for the course now, you will get a massive 40% discount on the course, saving about $48 USD! If you haven’t watched the teaser video of the course, then you can watch it here. First, I’m glad to announce that our upcoming chess course “Defending Champion” will be released on Wednesday, 28 December. If you’re not aware of our course, then you may check our previous articles: a preview video (lesson) on the course and what you can learn from the course. To celebrate the launch of the course, we’ll provide you with some amazing special offers! You can get a really huge 35% discount on the course. This will be a limited-period offer and will be valid only from 28 Dec. till Wednesday, 4 Jan. (inclusive). Do you feel 35% discount is not enough? Would you like to get a much higher discount? Well, yes, you can! The pre-registration for the course is already open. By pre-registering, you’ll get a massive 40% discount on the course, saving about a huge $48 USD! You’ll also be notified a few hours before the course launch on 28 December, if you pre-register for the course now. Let’s finish this article with a very interesting ches puzzle. It looks like White’s position is hopeless. But can you find a way for White to draw the game? Let me give you a little hint: one goal is getting in the square of the Black pawn, so it can be intercepted and the other is getting to the d6 square to support the promotion of his pawn. 1. Kg7! h4 2. Kf6 Kb6 Black has to spend a tempo on preventing the White king from reaching his pawn. If 2… h3 then 3. Ke7 h2 4. c7 Kb7 5. Kd7 and both pawns promote, with a drawn position.